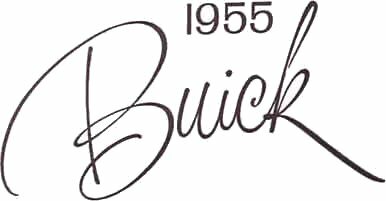 OK, so the pictures from the 55 Buick Dealer Catalog are from General Motors. I have spent considerable time restoring them and touching them up. Thus, my copyright. I do not own the copyright on the original work. In fact, I doubt that anyone does - there is no copyright notice in the original Dealer Catalog. According to the 1909 Copyright Act, works published without notice went into the public domain upon publication. If GM did have a valid copyright, it would have expired in 1983.